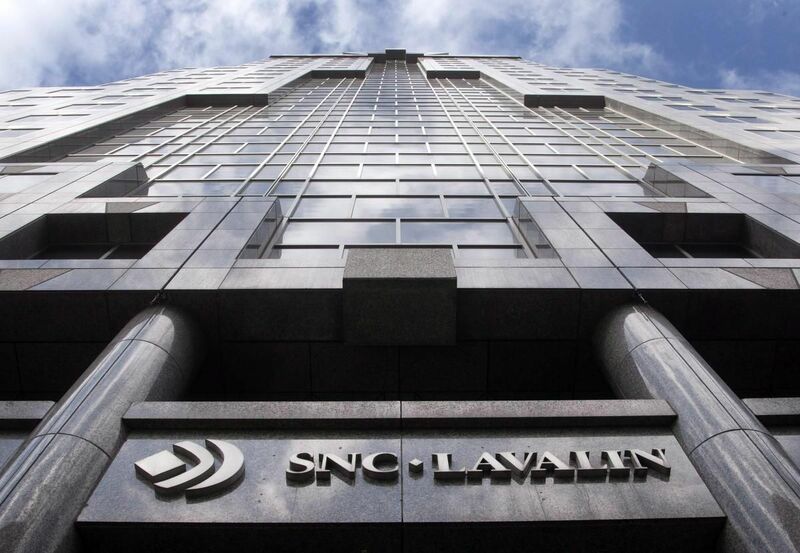 MONTREAL—Canada’s diplomatic clash with Saudi Arabia is threatening a key pillar of SNC-Lavalin Group Inc.’s growth plan. The Montreal-based builder gained additional exposure to the kingdom with its two biggest acquisitions, the 2014 purchase of Ireland’s Kentz Corp. and last year’s deal for WS Atkins of the U.K. SNC chief executive officer Neil Bruce is counting on business in the Middle East to bolster his drive to increase profit more than 50 per cent by 2020. SNC is getting caught in the crossfire after the kingdom froze diplomatic ties and new business deals with Canada last week, following a call by Canadian Foreign Minister Chrystia Freeland for Saudi human rights activists to be released from prison. The flare-up spooked investors in Canada’s biggest construction company, which gets about 11 per cent of sales in Saudi Arabia. SNC posted its biggest weekly decline in more than a year in the wake of the dispute. The shares fell again Monday in Toronto, dropping less than 1 per cent to $53.18, the lowest price in more than five months. The builder said it’s still assessing the impact of Canada’s increased tensions with Saudi Arabia. “If a widespread commercial embargo on Canadian commercial interests in the Kingdom of Saudi Arabia were to be implemented on a prolonged basis, there will be an impact on our future financial performance,” the company said in a statement last week. SNC, which has about 10,000 employees across the country, declined further comment. At stake for the company is almost $1 billion in annual revenue in Saudi Arabia. The company has another $639 million in sales in the rest of the Middle East, where countries such as the United Arab Emirates sided with Saudi Arabia in the dispute with Canada. Last month, SNC signed a five-year agreement to provide engineering services to a joint venture between Saudi Aramco, the world’s biggest exporter of crude oil, and Kuwait Gulf Oil Co.
SNC is already building various facilities at a gas processing plant operated by Saudi Aramco, which ranks among the Canadian company’s 10 biggest clients based on 2017 billings. SNC also has non-oil business in Saudi Arabia, since Atkins was working on a subway project in Riyadh at the time of its acquisition. Bonansinga said he has avoided SNC shares because of another source of risk: a possible fine in Canada tied to unrelated corruption allegations. Other CI funds hold SNC shares, according to data compiled by Bloomberg. SNC is targeting adjusted consolidated profit of $5 a share by 2020, up 56 per cent from last year. Its backlog of future work jumped to a record $15.2 billion as of June 30. The company didn’t break down the figure by region. Saudi Arabia would probably think twice before replacing SNC on construction projects and potentially causing delays, said AltaCorp’s Murray. But the risk for SNC is rising.